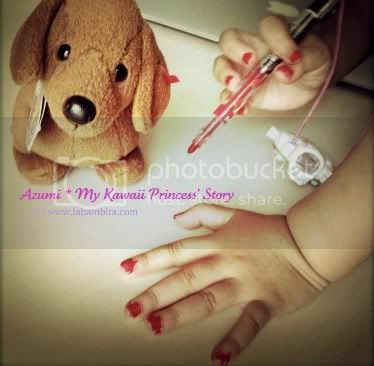 It's funny that I don't even paint my nails and then I would catch Anzu doodling her nails with a red pen in the corner while I am busy with my chores at the kitchen. It was the reason why there was a sudden unusual silence in our living room during her most Peak Hour. Good thing it was washable and non toxic. Yeah it happened some few weeks ago. These photos are actually retakes. I asked her to continue doing her nails at the table so I can candidly take photos of her. It's so adorable. 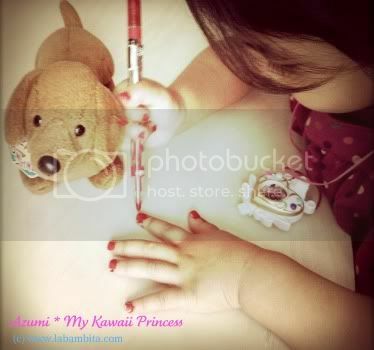 However, as cute as it may be I don’t think polish on nails at such a young age is a good idea. Nonetheless if you're just using a washable non-toxic pen. This is a big milestone and I was quite shocked coz I dont paint my nails. Where did she learned it from? 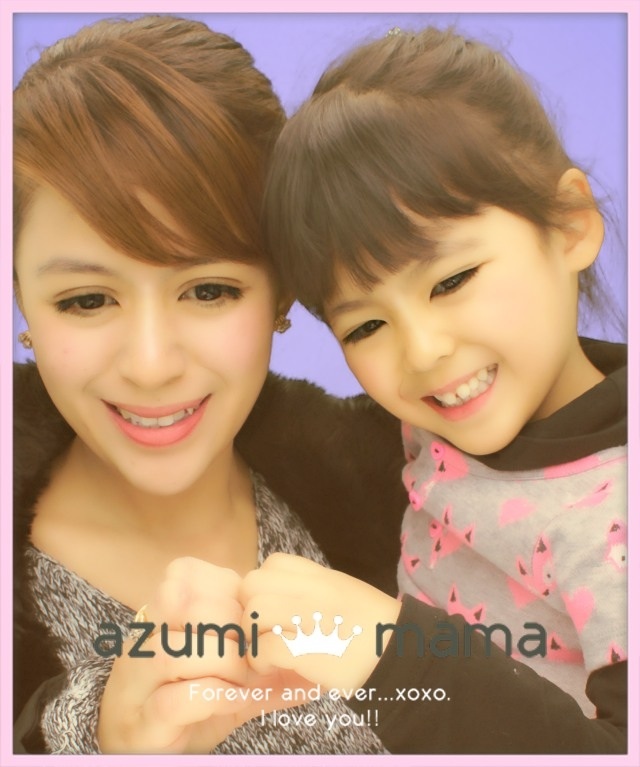 Maybe she saw her Tita, or maybe we passed by a Nail Salon at the mall - i don't know. But one thing is for sure -- this 2 year old little girl is AWARE so I must be more careful. wow! at such an early age, she already knows how to do that! same here, i don't wear nail polish, ever, good thing i have boys... the problem would be if my boys would start painting their nails... hahahaha! Oh Yes. They are always watching and listening and pick up every thing. Do not ever show a two year old something you don't want her to copy. That was a very funny post. And I am glad no damage was done. probably on TV...but cute hehe. Anyway, love your new look here. so cute. Hay naku sis! Maia is the same! She uses washable pens to paint her nails. Kahit orange color...it's like she ate cheese-flavored popcorn and forgot to wash her hands! She got it from her lola, who painted her nails once before. 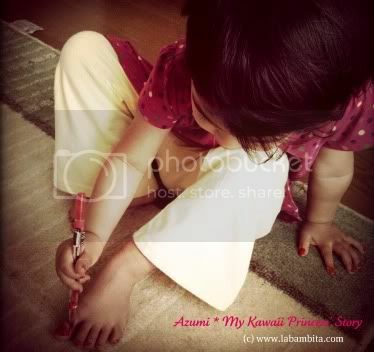 My 3 girls also like doing that on their toe nails. Before they were using pen, but now, I catch them using toy cutex at times. Really, when kids are quiet, the more that we should worry :-) and kids (like your daughter's age) are very impressionable so parents should really be very careful on what they do (or say) when they're around. love your new template..always here from adgitize..
Ahehe! She's very creative! Hope you can visit me too! Your sweet little angel is so cute but yeah you should look after her. Hahahaha magkakasundo sila ni rye weeee... She's aways bugging me to paint her nails which is the contrary of me.